Patagonia…one of this rare places to remain wild and pure. It’s a real paradise for adventurer and those that like to explore this places on skis! 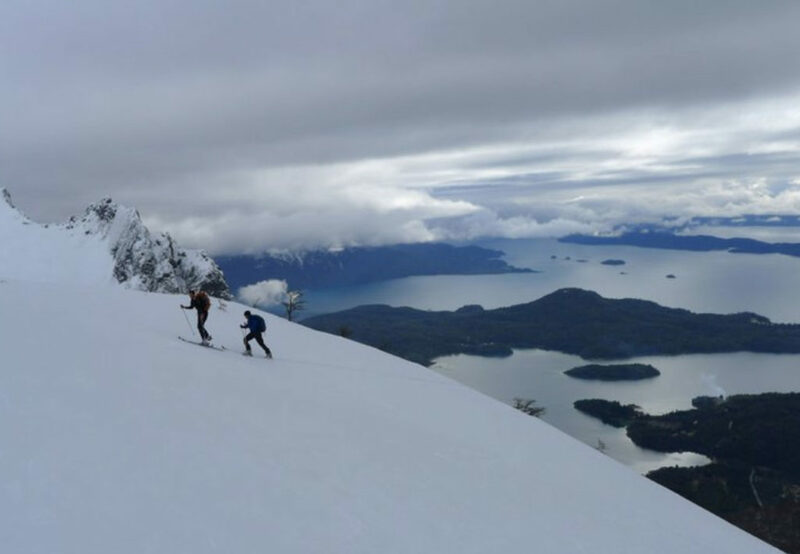 You can enjoy great views on the striking blue lakes around Bariloche and after some powder runs you might want to enjoy the famous Argentinean cuisine and its wines. 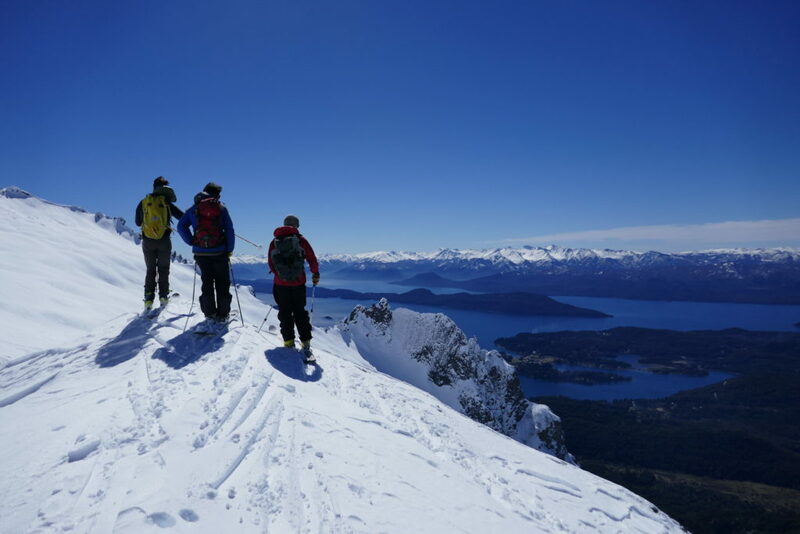 We skitour the nicest peaks around Bariloche, explore the Frey hut area and finish our trip with the ascent of the sleeping volcano Cerro Tronador. A bit outside of Bariloche in the step lies Cerro Chall Huaco. A perfect warm-up tour! 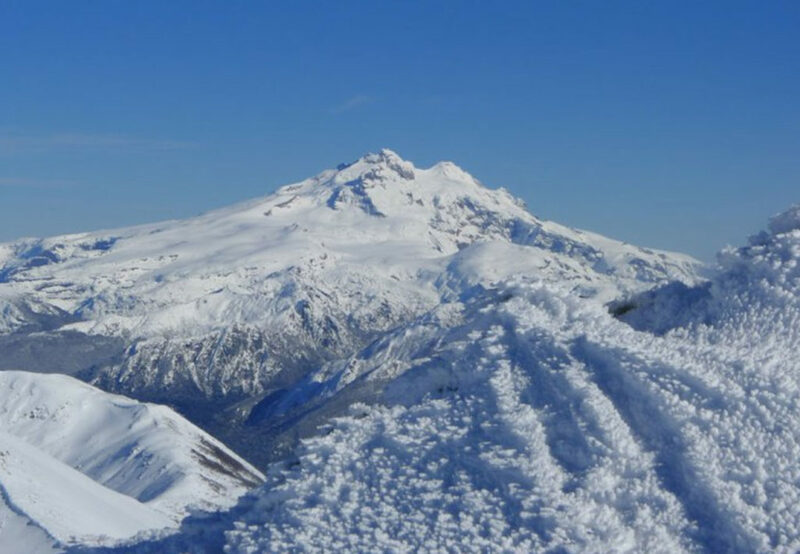 Our personal favorite ski touring mountain in our back yard! We pass the Lopez mountain hut and get to the top of Cerro Lopez where spectacular views to Cerro Tronador and over the Lake District await us. We take the lifts from Cerro Cathedral ski area to get to our starting point today. We ski tour to Frey Hut that lies just above tree line next to the small Laguna Frey. A ski touring paradise! Countless options for today: Couloires between the red granite towers and small mountain lagoons wait to be discovered. 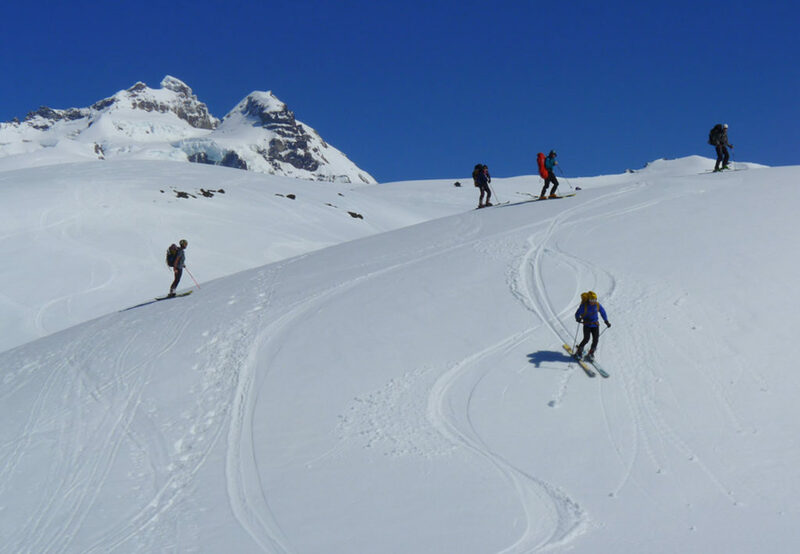 We enjoy some more ski touring in the Frey area before skiing back to Bariloche. We follow the tracks of Otto Meiling one of the first Andringst. We reach the Mietling hut from “Pampa Linda” in the Nahuel Haupi National Park. 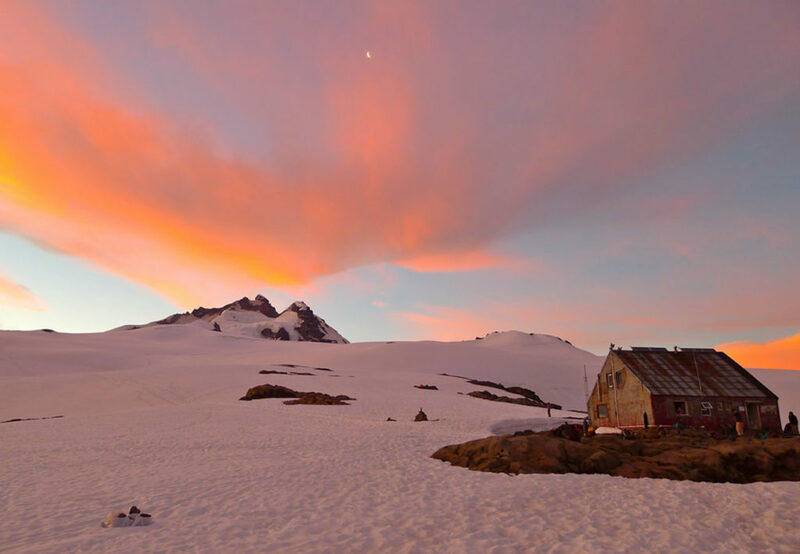 This hut lies on the foot of Cerro Tronador surrounded by glaciers. 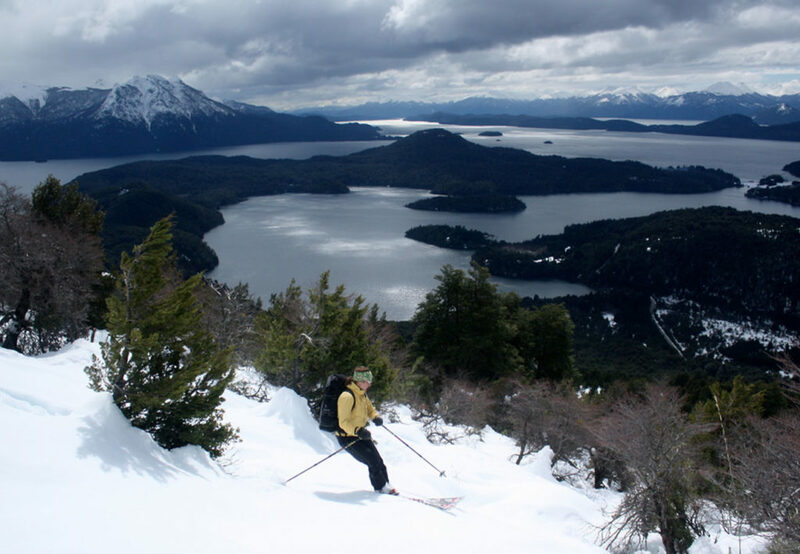 Cerro Tronador, the king of the mountains in the Bariloche area! We enjoy a very long glacier descent on this sleeping volcano today! Bariloche is situated in the Argentine lake district and can be reached with a 2hrs flight from Buenos Aires (also by bus from Buenos Aires aprox. 18hrs). If you come from Chile, Bariloche can be reached with a bus from Puerto Montt or Osorno.